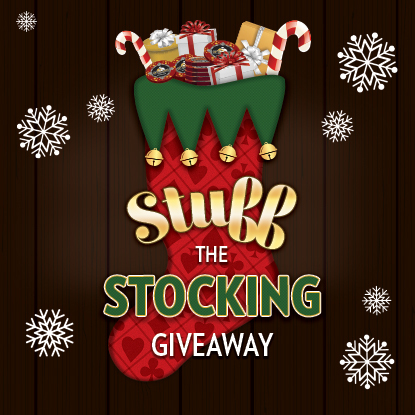 There's a whole lotta merry making going on in the Poker Room with our festive Stuff the Stocking Giveaway, every Tuesday, Thursday, and Sunday beginning December 5 through December 21, 2017. Poker Room guests will be randomly selected for their chance to win a share of $5,000 in cash and prizes. Visit our Poker Room for more details.